Unique inverted filter bed offers the best filtration in the industry on a budget. Phresh Skinny Filter contains 100% Pro-4/8 Australian carbon for the maximum possible air filtration. 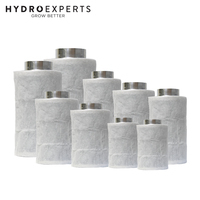 Thinner in diameter and up to half the weight of other competing filters. 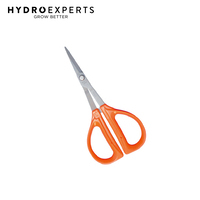 Small and light enough for easy single person installation. 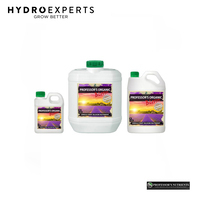 The expected lifespan of a Phresh Skinny target 9 months but up to a very respectable 1 year when used in an optimal climate. That's up to 66% longer than other budget filter brands. Aluminium tops & bases for reduced weight. Half the weight of competitive filters. 46mm (1.8") RC-48 activated, certified virgin carbon bed. Machine packed carbon means more carbon & less movement. Cone shaped internal base for optimum air flow. Sealed, bagged, boxed & labeled directly after being manufactured for optimum life span, handling & presentation. 51% open air custom mesh. Unique "Anti Air Bypass" System. 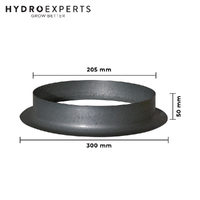 Large selection of sizes available to fit any application. Q: Do Phresh® Filters come with a pre-filter? A: Yes, they include a high-quality, custom fit pre-filter. Q: How long will my filter last? A: Under typical conditions, with a clean pre-filter and correct CFM, a Phresh® Filter will last approximately 2 years. 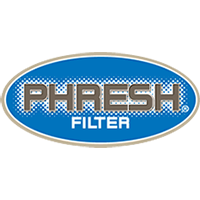 Use our Phresh® Filter calculator to determine the right filter for you. 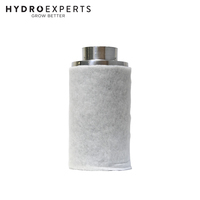 Q: Will temperature extremes and high humidity reduce the life expectancy of my Phresh® Filter? A: Yes - temperatures over 95° F and humidity over 75% will reduce the filter life. Q: How can this filter handle more air flow, and last longer than other filters yet be so light? A: The carbon we use is Australian RC-48 carbon derived from coal. 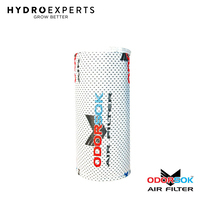 It is widely known as the best carbon for air filtration. This carbon is far superior to carbon derived from coco in its ability to collect particulates and odors. Due to the density and increased surface of the RC-48 particulate carbon we can use less carbon in the filters. 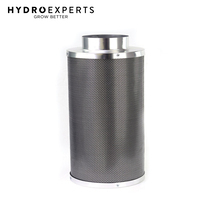 Pelletized coco carbon cannot match the performance of our carbon so competitors increase the amount of carbon and wall thickness in their filters to compensate. This makes them much heavier. 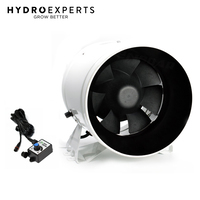 Q: Can I put a higher CFM fan than what the filter list? A: Not recommended, the max CFM is rated on the filters. If you go over this amount it will not give the passing air enough "contact time" with the carbon and the filter will not be able to do its job as effectively. Further, it will diminish the life of your filter. Q: How much CFM loss is there when using a Phresh Duct Silencer? A: Approximately 1-3% depending on size. Q: Can I refill my filter? A: Yes, but not recommended. After-market carbon will most likely not be RC-48 carbon. 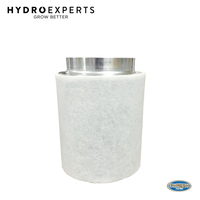 Your filter will not be as effective with a locally purchased replacement carbon. Also, you will not have access to the complicated, heavy-duty machines used to compress the carbon inside the filter. It will simply not work like a new Phresh® Filter would. Q: Why choose a Phresh® Filter over other brands. A: Simply put, this filter is half the weight, will last twice as long and is more effective than other brands. Q: Do they come with a pre-filter and do I need to use it? A: Yes, one is included with each new filter. Yes, you need to use the pre-filter. 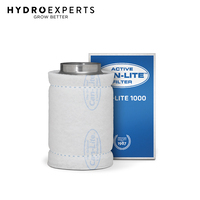 If you do not use it, the life of your filter will be significantly reduced. Q: Do I need to clean my pre-filter? A: Yes - it is recommended that they be cleaned or replaced every 6 months. They are machine washable. 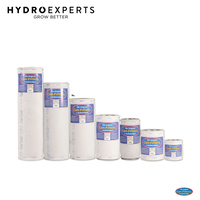 Replacement pre-filters should be available from the retailer where you purchased your Phresh® Filter. 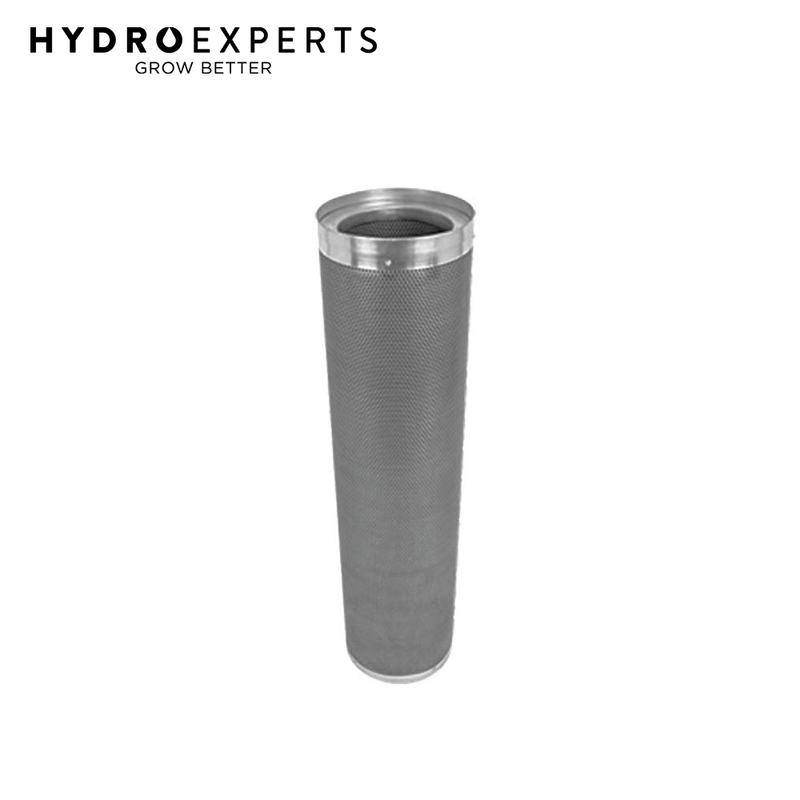 Q: Is it better to hang my filter horizontally or place it on the ground? A: Both will work fine. Do what is best based on the layout of your room. Set it up with the least possible restriction (i.e. fewest bends in ducting & shortest distance of duct). Q: Do I push or pull air through the filter? A: You can do either. Please consult your local indoor gardening retailer for guidance depending on your application. Q: What happens if I use a filter larger than what your Phresh® Filter calculator recommends? A: Nothing other than it will last longer. Q: How do I dispose of the filter when its life is up? A: Use the carbon in your outdoor garden soil. Take the steel and aluminum to a recycling center or metal scrap yard. Q: What type of fan should I use with my Phresh® Filter? 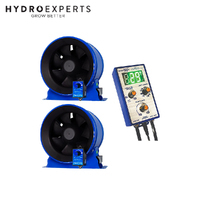 A: You can use any high-quality inline (centrifugal) fan that has CFM's matching the filter.